Drawing tablets have become standard equipment for digital artists and designers. 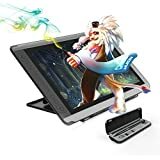 If you want to get started with a beginner's drawing tablet, you can find affordable options that will allow you to draw on the tablet and have the rendering appear on your computer. Professionals may appreciate models that have high levels of pressure sensitivity and lines-per-inch resolution. We rank 10 of the top drawing tablets that are appropriate for all users from a variety of brands. This ranking combines tablets that must plug into computers to show input on a monitor, as well as devices with display screens of their own. Generally, drawing tablets with display screens tend to be priced higher than simple tablets that function as peripherals. 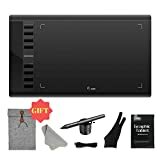 You can purchase a professional-tier tablet that displays input on a computer for less than a tablet with a small display screen. Learn what to look for when shopping for a tablet as you search through our ultimate guide for the best drawing tablets. Drawing tablets are devices that connect to a computer and allow a user to draw digitally. 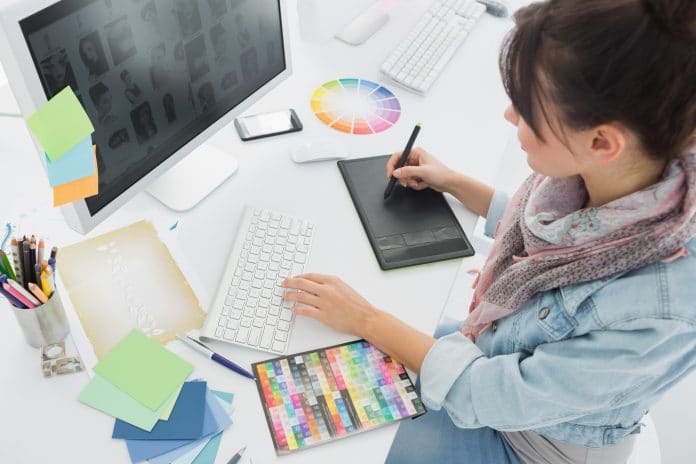 There are two styles of drawing tablets, those with graphical drawing screens and those without. It will take time and practice to become accustomed to either style of tablet. 2. What do drawing tablets do? A drawing tablet is a sensitive surface that receives and sends input from a specialized stylus pen to the tablet surface or a computer interface. You can use drawing tablets with art, design, or image editing software as well as other applications that allow for this type of input. 3. How do drawing tablets work? As a user draws on a tablet surface, the stylus produces a signal that goes through the special pen and onto a sensor board. These electrical signals are transferred from a coil circuit to the main circuit to calculate the number and pressure of the lines drawn. This data is then turned into electromagnetic signals that send input to the display. 4. Where can you buy a drawing tablet? Online retailers, electronics stores, and even some art-supply retailers may stock drawing tablets. It is a good idea to research tablets online before making a purchase; this can increase the likelihood that you will be satisfied with your tablet. 5. 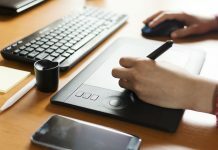 How much does a drawing tablet cost? Drawing tablets can cost anywhere from $50 all the way up to $2,000 or more, depending on the brand, features, and size of the device. 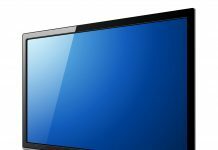 In general, larger tablets or tablets with display screens often cost more than models without screens or smaller tablets. Our ranking of the top 10 drawing tablets includes models with and without displays. We reviewed tablets with a wide range of features at many price points to help you learn about the options that are available and what you should expect to pay for certain features. We also factor in important specifications such as pressure sensitivity and lines per inch resolution levels. The higher the pressure sensitivity level, the more control a user has over line weight. Beginner tablets and older models may have lower pressure sensitivity levels at around 2,048. Newer tablets and professional models tend to have pressure sensitivity levels from of at least 4,096 up to 8,192. Resolution in lines per inch can range from 2,540 for smaller tablets up to more than 5,000 for larger devices. The best tablets have almost instant response rates without significant input lag. Professional tablets often feature multi-touch controls and tilt recognition. Touch controls enable users to zoom in on or rotate projects with finger gestures. Tilt recognition registers the angle of a pen or stylus to allow for more nuanced control. Drivers and software are essential elements of any drawing tablet. Additionally, it should be easy to connect a tablet to a computer, perform simple calibration, and start drawing. Professional tablets with displays can cost more than $1,000, but you can find tablets without displays that have all of the features professionals need for under $100. The tablets in our top 10 ranking range in price from $49 up to $1300. Depending on what you are looking for, you can generally find versions of each tablet that are either larger or have more features for a higher price. Key Features: The XP-Pen Artist is a drawing tablet with a high-definition display that allows you to see your drawing on the tablet surface itself rather than a computer screen. 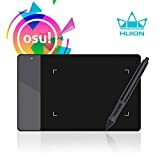 Key Features: The affordable and sensitive Huion OSU must be used with a computer and does not feature a display. This model stands out for its affordability and sizeable drawing surface. 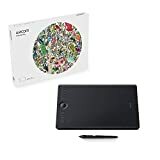 Key Features: The Wacom Intuos Wireless Graphic is a newer version of the Intuos and includes wireless Bluetooth connectivity. This model is available in small and medium sizes with or without wireless capabilities. The least expensive version of the Intuos is the small-sized model without wireless connectivity. 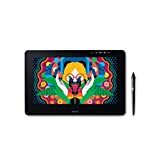 It is about $20 cheaper than the Bluetooth-enabled version, and there is about a $100 difference between the small and medium sizes of this drawing tablet. You may also check out this review for more Wacom products. 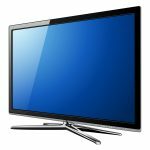 Key Features: The incredibly affordable small Ugee M708 does not have fancy features, but it has high levels of pressure sensitivity and lines-per-inch resolution. 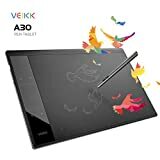 Key Features: The affordable and full-featured VEIKK A30 is perfect for digital artists on a budget. You can purchase this tablet in sets with accessories ranging from a wool liner bag and anti-fouling glove to two rechargeable pens and replacement nibs. Key Features: The XP-Pen Deco 01 drawing tablet has higher pressure sensitivity levels than many other devices in the under $60 price range. The tablet also features side lighting to make it easier to work in the dark. For $10 more, you can get a set of gloves and replacement pen nibs. Key Features: The Cintiq Pro 13 is one of Wacom's more affordable tablets with a screen display. This model features a rocker ring, tilt recognition, and touch capabilities. Key Features: This affordable drawing tablet has pressure sensitivity levels and LPI resolution as high as much more expensive models. The Huion Inspiroy H640P also features a paper-like surface to protect from wear and provide a textured drawing surface. Key Features: The Intuos Pro Medium has all of the features that drawing tablet users look for in a relatively affordable package. The tablet footprint is more compact and the active area is larger than other tablets on our list. Our top ranked tablet, the Huion KAMVAS GT-156HDV2 Drawing Monitor, is a tablet featuring a 15.6 high-definition display screen with a large active area. 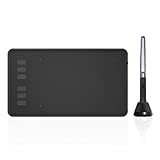 This tablet has a high level of pressure sensitivity (8192) and comes with two rechargeable pens, which allow you to keep working even when charging. Most users say that they have to charge very infrequently, though this will vary with the amount of pen usage. The Huion KAMVAS GT-156HDV2 does not have multi-touch support or wireless connectivity, but it has an exceptional display for a $483 price point. A comparable model from Wacom, the Cintiq 13HD Creative Pen and Touch Tablet, has touch support and tilt recognition but much lower sensitivity (2048). Additionally, it is 2.6 inches smaller than the Huion KAMVAS GT-156HDV2. The Cintiq 13HD is also more than $300 more expensive. If you are not interested in display screens, you might want to compare our runner up, the Wacom Intuos Pro Medium or the more basic Wacom Intuos Bluetooth, with the very affordable Huion Inspiroy H640P. 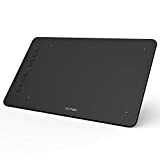 The Intuos Pro has 8192 levels of pressure sensitivity and 5080 lines per inch resolution with tilt and multi-touch features and wireless connectivity for $350. The standard Intuos has lower sensitivity (4096) and LPI resolution (2540) and has tilt recognition but has no touch support. This model ranges from $100 for a wired version to $200 for a wireless version. If you do not mind a device with a lengthy wire, and if tilt recognition is not a factor, you might prefer the Huion Inspiroy H640P which boasts the same levels of pressure sensitivity and LPI resolution as the Intuos Pro for $300 less. The Inspiroy H640P is priced under $50, making it one of the most exceptional values in our ranking.